Take some oil in a kadai add mustard seeds, green chilies, curry leaves add onions, ginger garlic paste, stir well till cooked. Now add tomatoes, turmeric powder, red chilies powder, samber powder, salt to taste still well until cooked. 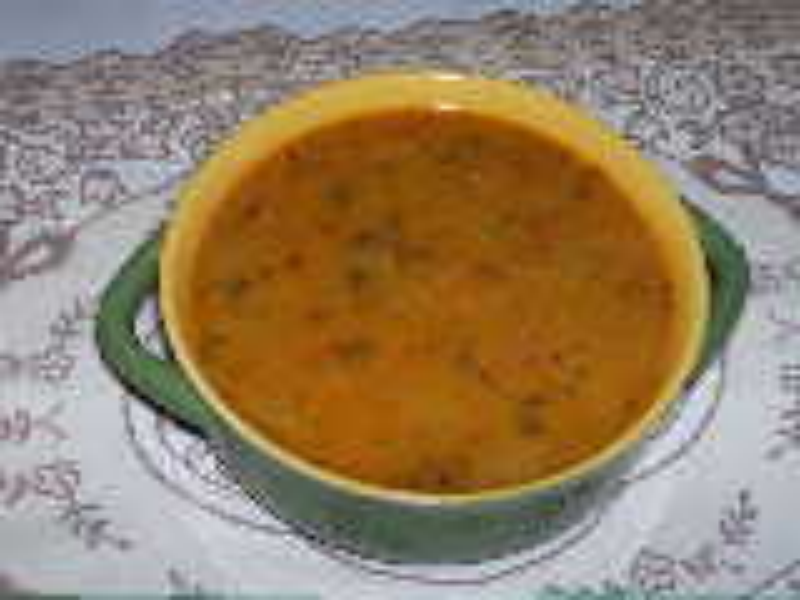 Now add boiled Tuar dal, tamarind water mix will and water as per thickness bring it to boil then add coriander leaves. Thanks! Sneha for your tip I will defenetly try this. hi Kavitha,am surprised how many wondered about garlic in sambar! !but it's not added as a paste as u mentioned.garlic pods are presurre cooked along with toor dal and then mashed together before making the sambar.this can be tried. Thanks u Christy for trying my recipe. You are so good cook that I am getting inspiration from you to keep posting more recipes. In Tamil Nadu(in Salem Dist),this Garlic Sambar is famous but they don't add ginger paste.Today I added little ginger to the Sambar and it tasted good.Nice recipe Kavitha!. we don't add garlic in sambar.this sambar we can have with rice but for idli dosa its a different sambhar.